Seaside School Half Marathon & 5K is one of our favorite events of the year, so this year we decided to celebrate by bringing the circus to our store! 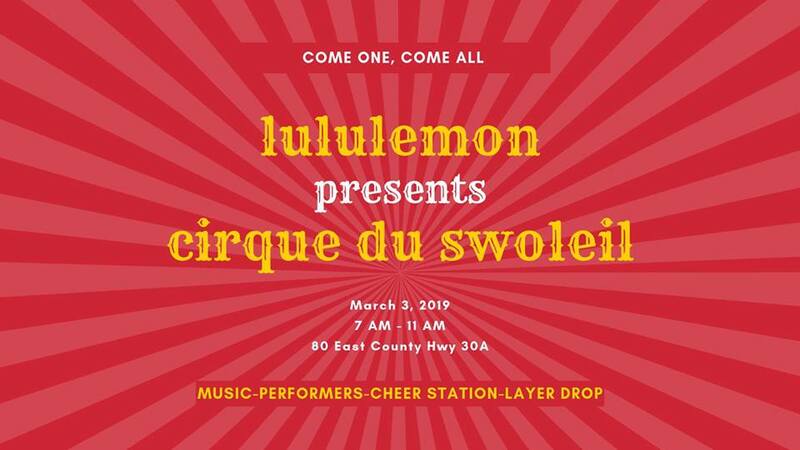 Join us for lululemon’s Cirque du Swoleil to cheer on the swole men and women running the race down 30a. Come cheer on your friends and family and enjoy live performers, music and more out front of lululemon Grayton Beach from 7am-11am.